Update: DSST Public Schools is the winner of the 2018 Broad Prize for Public Charter Schools. Beth Hawkins has more on the announcement, and the network, right here. 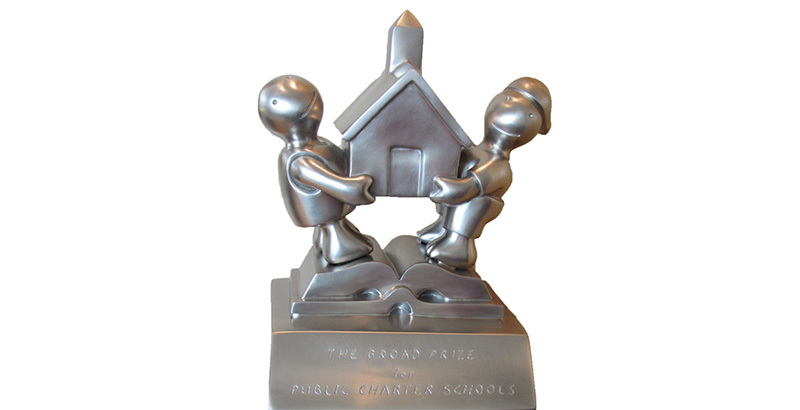 The winner of the 2018 Broad Prize for Public Charter Schools will be announced later this morning at the National Charter Schools Conference in Austin, Texas. The $250,000 prize is awarded annually to the best-performing charter management organization (CMO) in the country, as measured by academic outcomes, especially among students from low-income backgrounds and students of color. This year’s three finalists – Achievement First, DSST Public Schools, and Uncommon Schools – were chosen from among 41 of the country’s largest CMOs by a board of national education experts. Achievement First was a finalist for the prize in 2013, 2014, and 2015. DSST was a finalist last year, and Uncommon Schools won the prize in 2013. The high-performing New York City network Success Academy won the prize last year. DSST last year celebrated its 10th year of 100 percent college acceptance for its graduating seniors, and it has turned its focus to expanding beyond Denver proper and ensuring its students enroll in the right colleges and complete their degrees. Achievement First, which borrowed practices from other top performers, and Uncommon Schools, the effort of four entrepreneurs that launched in 2005, are among the charter networks beating the odds for college graduation for low-income students. Achievement First’s projected six-year college graduation rate is 52 percent, and Uncommon Schools’ is 50 percent, as compared with about 9 percent for low-income students nationally. (Read more about the networks’ college completion data via Richard Whitmire’s exclusive analysis: “Data Show Charter School Students Graduating College at Three to Five Times National Average”) … Read more about the 2018 Broad Prize finalists. Watch Live: Stream the 2018 Broad Prize ceremony right here beginning at 11 a.m.
Disclosure: The National Alliance for Public Charter Schools and The 74 both receive funding from The Eli and Edythe Broad Foundation, the Bill & Melinda Gates Foundation, The Doris & Donald Fisher Fund, the William E. Simon Foundation, and the Walton Family Foundation. DSST and The 74 receive funding from the Gates and Walton foundations. Achievement First and The 74 receive funding from the Gates, Broad, and Walton foundations and The Carnegie Corporation of New York.